Understanding what people like is an art. Market researchers create focus groups in order to gain insights into what's going to pass muster with the public and what’ll flop. Of course this is where Facebook went afoul. They were letting Cambridge Analytica get the dope on millions of members ("Facebook and Cambridge Analytica: What You Need to Know as Fallout Widens,"NYT, 3/19/18).Taking the reverse tact, art requires a certain degree understanding to find an audience. Yet the waters can become murky. Is an artist, a pied piper, leading his potential viewer or reader to something new or is he or she actually touching on a vein or pre-existing inclination? Few lovers of art, could probably have imagined the advent of The New York School, which produced images, in the work of Rothko, Pollock, and de Kooning that questioned the very nature of what image-making entailed. No advertising firm was going to be able to offer the kind of market research which would have guided the purchaser of American paintings in the early l950’s. It was uncharted territory. 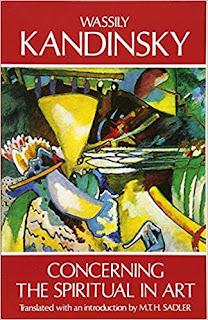 Critics like Clement Greenberg argued for a certain necessity in the evolution of art, but that's like post hoc ergo propter hoc--because something follows it's the cause. 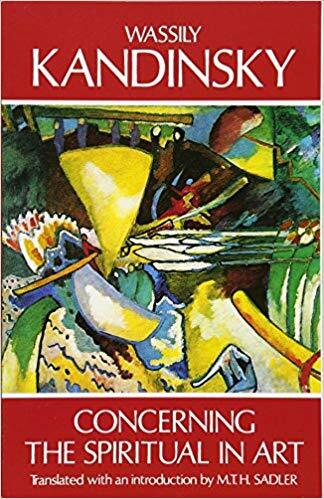 Yes Kandinsky’s Concerning the Spiritual in Art, a primer on abstraction, came out in l910, but few non-artists were likely to have seen the writing on the wall as it were. Neither Duchamp, Picasso, Braque, or Matisse were a prediction of the radical changes that would emanate on American soil decades later. Nathaniel Kahn’s documentary The Price of Everything attempts to look at art as a tangible asset that has become monetized. It gives the illusion that one could assess a work of art much like one does the spreadsheet of a company manufacturing product, but it’s a little like phone tag. You may think you'e looking for an answer when you’re just waiting to reject the call.